Leave your big purse at home. Minimize what you are carrying around. Get a small, crossbody purse, small clutch or a wallet in your front pocket. Big purses are easy to grab on the street and you don’t want to juggle it in a crowded bar. Have cash on you. Many places are cash only and bars often have a minimum for starting a tab. Tip your server and your bartender. Customary tip is 15 to 20 percent for food and at least $1 per drink. In the Quarter, bathrooms are for customers only. If you get a drink or food, use the bathroom at that place. There are a few public bathrooms (Jean Lafitte National Park Visitor Center), but they aren’t common. Don’t start searching for a bathroom when you really, really have to go because there’s often a line. Most people start their first visit to New Orleans in the French Quarter. For these adventures, you won’t need a car. Here are the recommendations I give my friends for their first visit to the city. You should know that I prefer to go to low- to mid-price restaurants so I can stretch my money. Most of these suggestions are not fancy and not white-linen dining experiences. But they are good venues that will leave you with plenty of memories. Looking for more food suggestions? Check out this itinerary from The Hungry Nomad. Beignets at Cafe du Monde. These powdered sugared fried bits of dough are delicious with a cafe au lait or a cup of hot chocolate. When it’s warm, you can order an iced cafe au lait. If you want a commemorative hat, ask your server for one. They are less than 50 cents each. Advice: The cafe is cash only and is open 24 hours. People wait in line for a table but there’s no one to seat you so ignore the line. Walk around to the back by the fountain and there’s another entrance (opening in the railing) that most people don’t use. Find a table (dirty is fine) and sit down. A server will come soon to clean off your table and take your order. A go cup. Make sure you get a drink in a “go cup.” These are plastic cups available at the vast majority of bars and restaurants in New Orleans. You don’t have to finish your drinks in the bar in New Orleans. Get a go cup and take the drink with you. Liberating concept, right? Hurricane at Pat O’Brien’s. 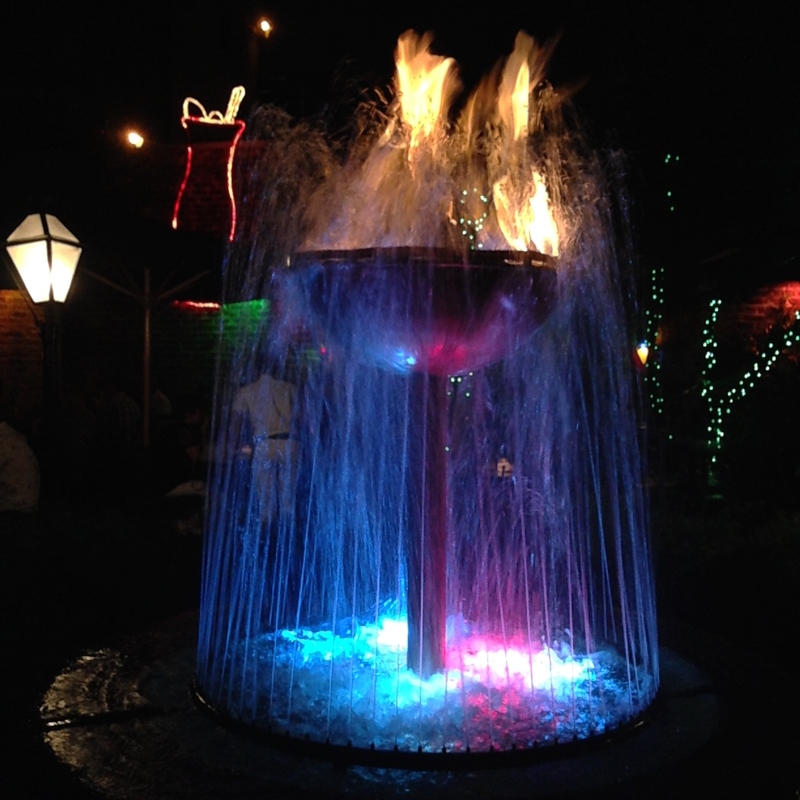 Visit Pat O’s (624 Bourbon Street), see the fire and ice fountain in the courtyard and order a hurricane. Personally, I prefer to sip a bunch of beverages rather than commit to one drink. If you are with a group, split the drink with your group. 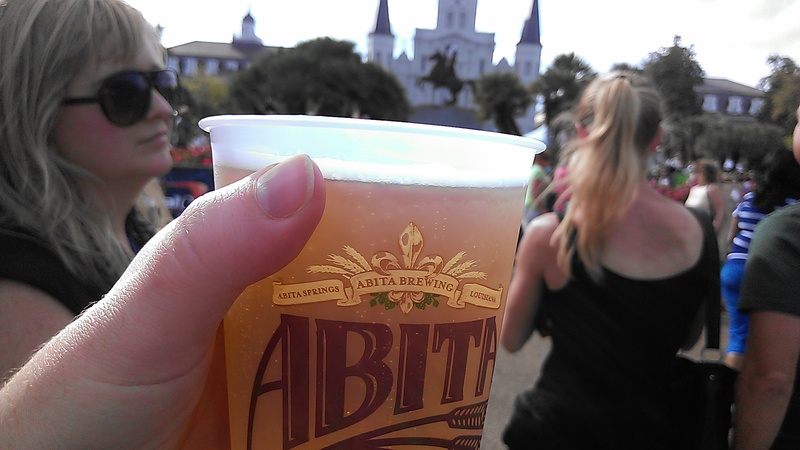 There are plenty of drinks in New Orleans and you don’t want to get trashed on your first beverage. Get your drink in a go cup so you can take it out on the street and walk around. Or, you can pay a little extra and get the commemorative Pat O’s hurricane glass. Daiquiri from Fat Tuesday. This frozen beverage is a local favorite. Fat Tuesday (633 Bourbon Street) has several premade flavors spinning in its shops around town. Pick a flavor that appeals to you. Hand grenade from Tropical Isle. 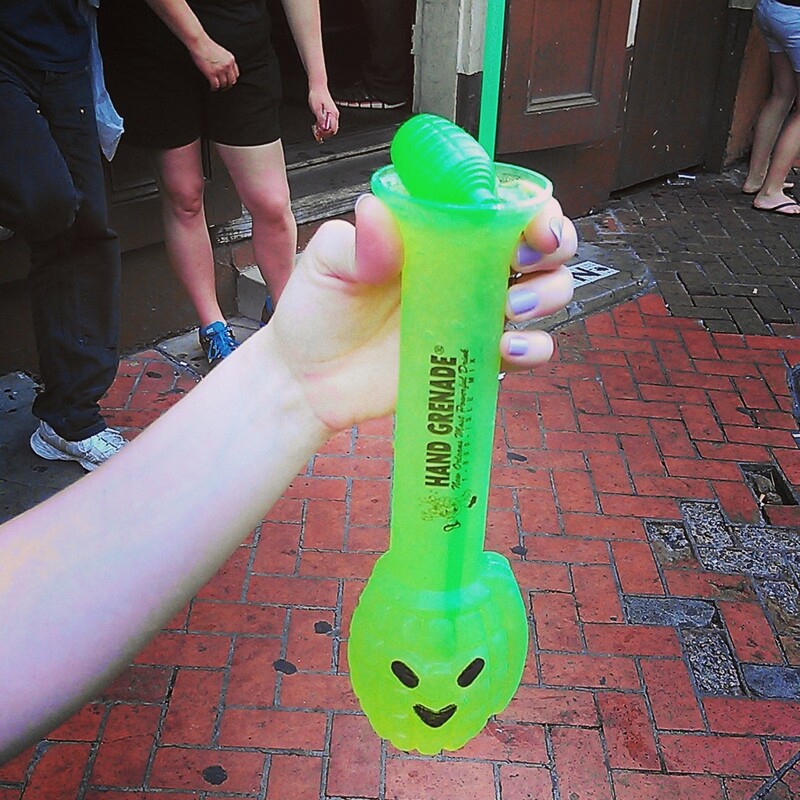 Head to the location at the corner of Bourbon and Orleans and get one of these strong drinks in the signature green cups. It’s another one I suggest you split with a group so you don’t have to commit to drink the entire thing. If you like it, go back and buy your own drink. 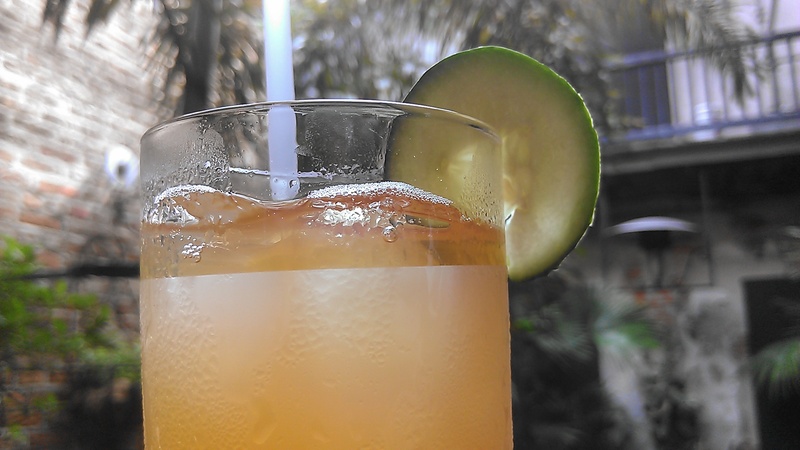 For classy cocktails, order a Sazerac, French 75, a Ramos Gin Fizz and a Pimm’s Cup. Many bars offer good versions of these in the French Quarter. The Napoleon House is famous for its Pimm’s Cup and it has a nice interior courtyard. The Carousel Bar inside the Hotel Monteleone is a smoke-free, classy place where the bar is a slowly spinning carousel. Anything you get here drinkwise is good. Looking for a deal? Hit up Bar Tonique for happy hour (noon to 5 on weekdays). The special drinks are $5 at this tiny Prohibition-style bar. Have your family with you? 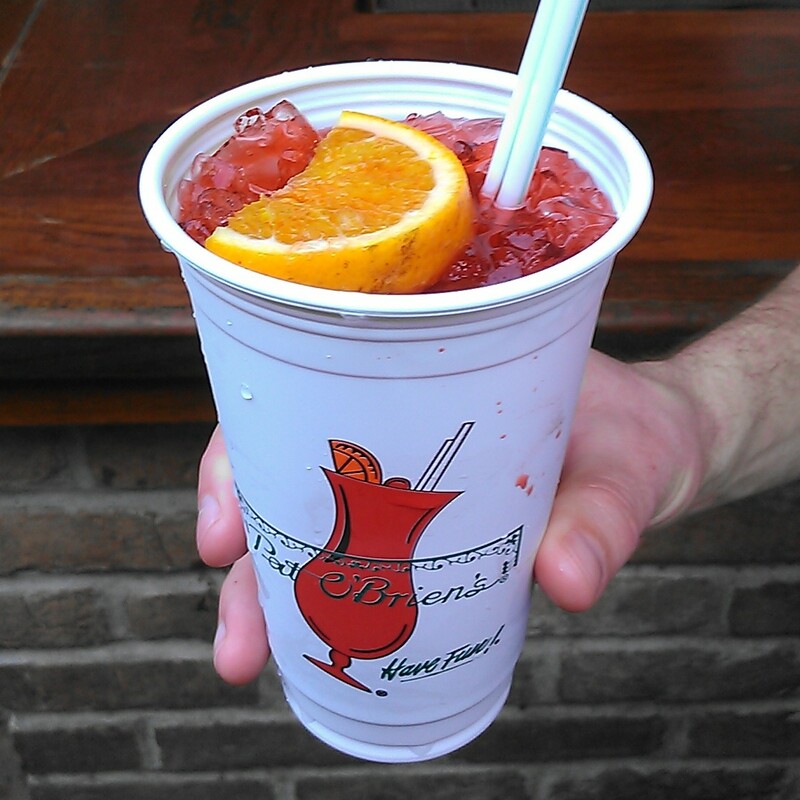 Head to Broussard’s for drinks. This is more like a restaurant with a gorgeous courtyard. It’s not geared toward kids but children are welcome. Muffaletta. Go to Central Grocery and get a muffaletta. This cold, meat sandwich with olive salad is a classic. It’s sold by the quarter, half or full sandwich. A half is big enough to split with two to three mildly hungry people. The quarter is good for individuals. Go early because Central Grocery often sells outs. There’s usually a line, but it moves pretty quickly. More suggestions for places to get muffalettas in New Orleans. 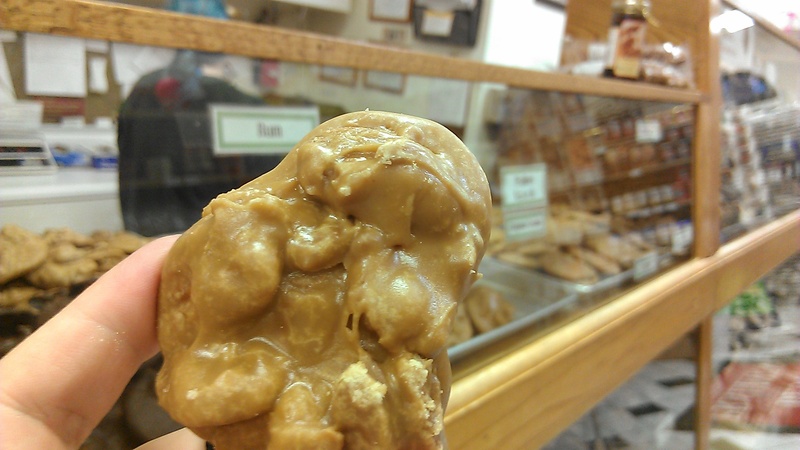 Pralines. We say it “praw-leen.” These sugary treats are made throughout the Quarter. You’ll find several shops along Decatur Street. My personal favorite is Southern Candymakers. Not sure which praline maker you like? Ask for samples. They make great gifts too if you are traveling. Tip: If you live in New Orleans, ask for the local 10 percent discount at Southern Candymakers. Oysters. You need to eat oysters during your trip. Raw on the half shell is preferred. Don’t like raw oysters? Try charbroiled oysters. These are fully cooked oysters doused with butter, garlic and herbs. So good. 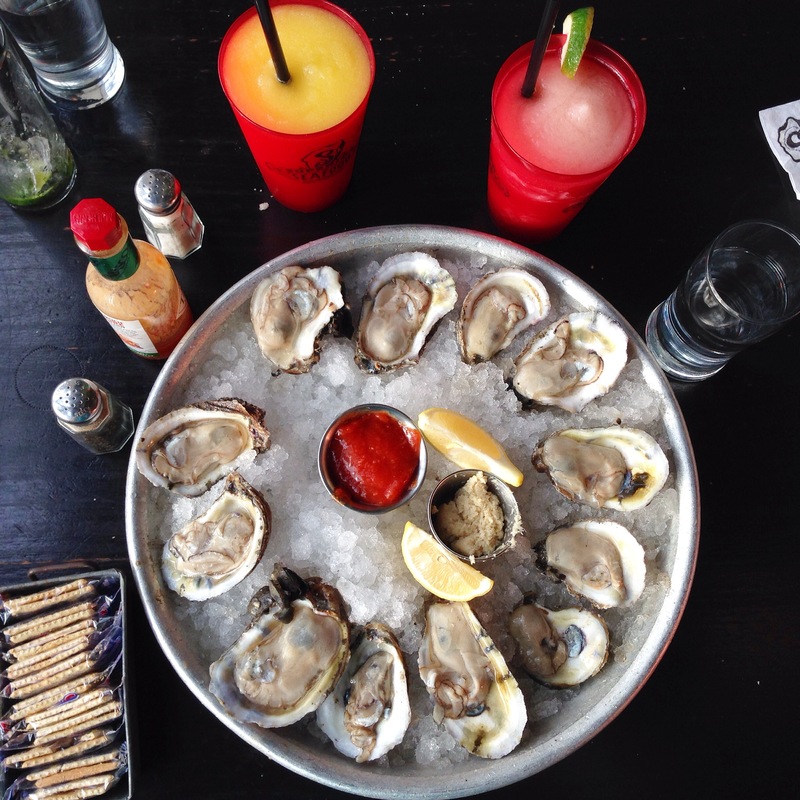 For oysters in the Quarter, our favorite restaurants are Acme, Drago’s, Felix’s, Desire Oyster Bar and Royal House. Jackson Square. Jackson Square is next to Cafe du Monde. You can go in the square and take photos, but the best vantage point for getting a picture with the cathedral behind you (selfie time!) is on the river platform on the other side of the street from the cathedral. The ramp is next to Cafe du Monde. Walk up the ramp and you’ll see the canon and have views of the Mississippi River on one side and the cathedral on the other. Snap away with the camera. 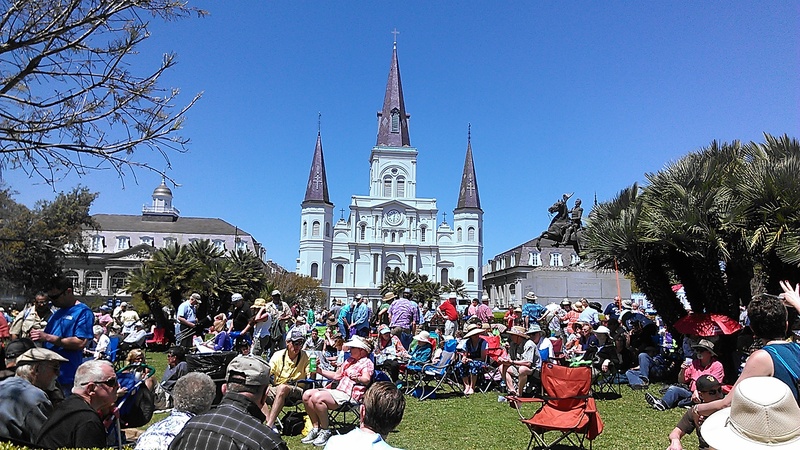 Then, you can walk down, cross the street and check out Jackson Square. Check out the art on the fence. It’s all locally made and you can usually find a deal on local folk art. Walk through the Square to the cathedral to listen to music from street performers. See the Mississippi River. 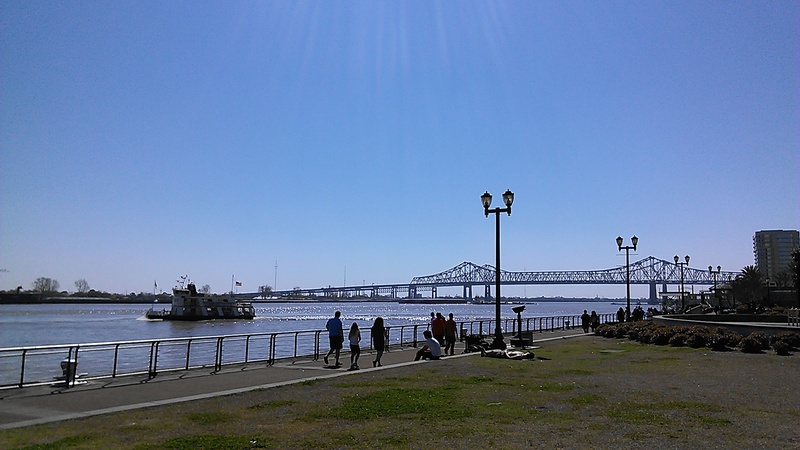 From the canon viewing platform across from Jackson Square, turn around and you’ll see the river. Cross the streetcar tracks and you’ll wind up on the path (locally called the Moonwalk after our city’s previous mayor, Moon Landrieu) for the river. Turn right and walk toward the bridge. If you keep walking, this path will take you to the Audubon Aquarium of the Americas and the Riverwalk, a recently renovated outlet mall. 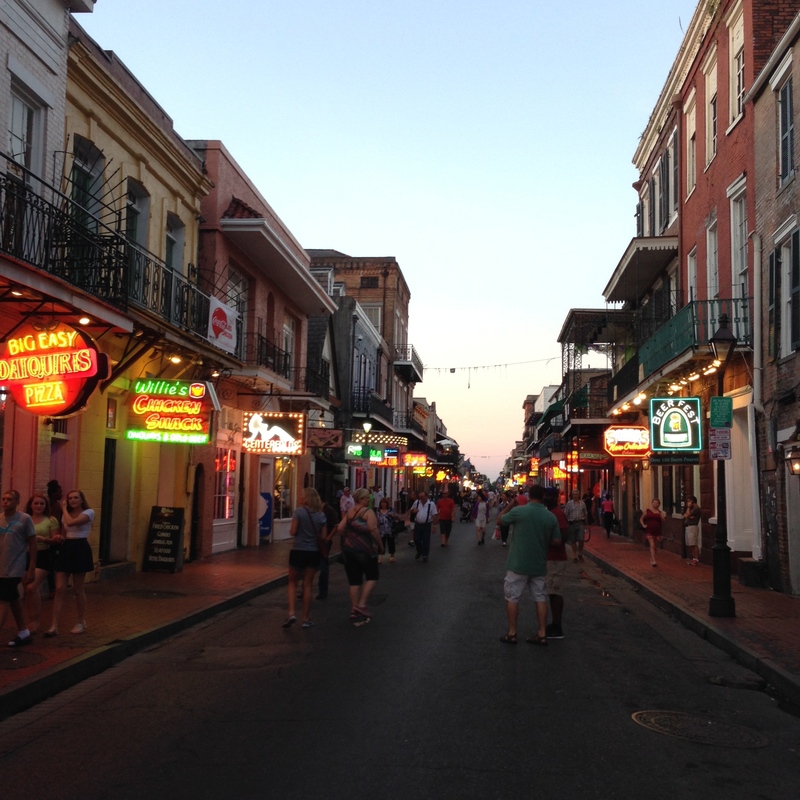 Take a walk down Bourbon Street. You can’t visit New Orleans without a trip down this famous street. The later you go, the more “festive” it gets. I prefer to go between 4 and 6 p.m. It’s usually early enough to walk without having a drink dumped on you but it’s still late enough to see some of the craziness. On the weekends, you can even go even earlier and still see some of the atmosphere. Walk down Royal Street. Royal is known for art galleries and street performers. 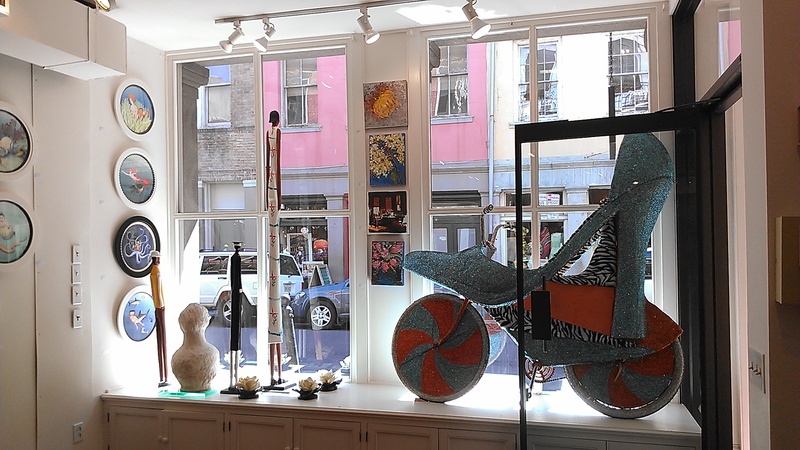 Some cool galleries to check out: The Art of Dr. Seuss (716 Bienville Street between Royal and Bourbon), M.S. Rau Antiques (630 Royal – beautiful jewelry and random antiques), Trashy Diva (537 Royal Street – girly, pinup-style dress boutique and accessories) and Rodrigue Studio (730 Royal Street – Louisiana artist who created our famous “Blue Dog”). There are plenty of neat shops along the street. Pop in if one grabs your fancy. If you enjoy a street performer enough to take a picture, it’s polite to leave a dollar in his/her tip bucket. Antique shops at the end of Decatur Street near Barracks Street. These stores primarily sell home furnishings like old wooden windows, dressers, chairs and armoires. 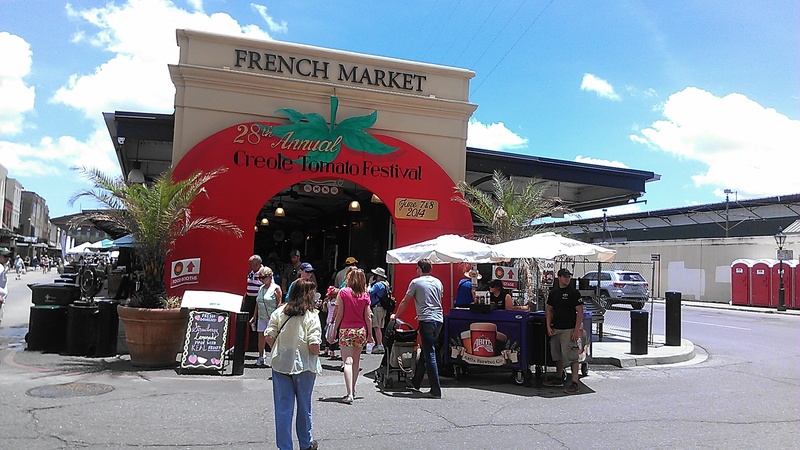 Shop at the French Market. Want to buy feathered Mardi Gras masks and a few cheap souvenirs? This is the place to go. It’s a large covered area full of individual vendors. Many items of the items are sold by multiple vendors so if you see something you like, walk around to make sure it isn’t cheaper elsewhere. Ride a streetcar. And, please don’t call it a trolley. Rides are $1.25 each way or you can buy a daily pass for $3. It covers all buses and streetcars. You buy the passes on the streetcar and the bus. Make sure you have exact change because you can’t get change on the bus/streetcar. Above-ground cemetery. Head to the Garden District to Lafayette Cemetery No. 1. 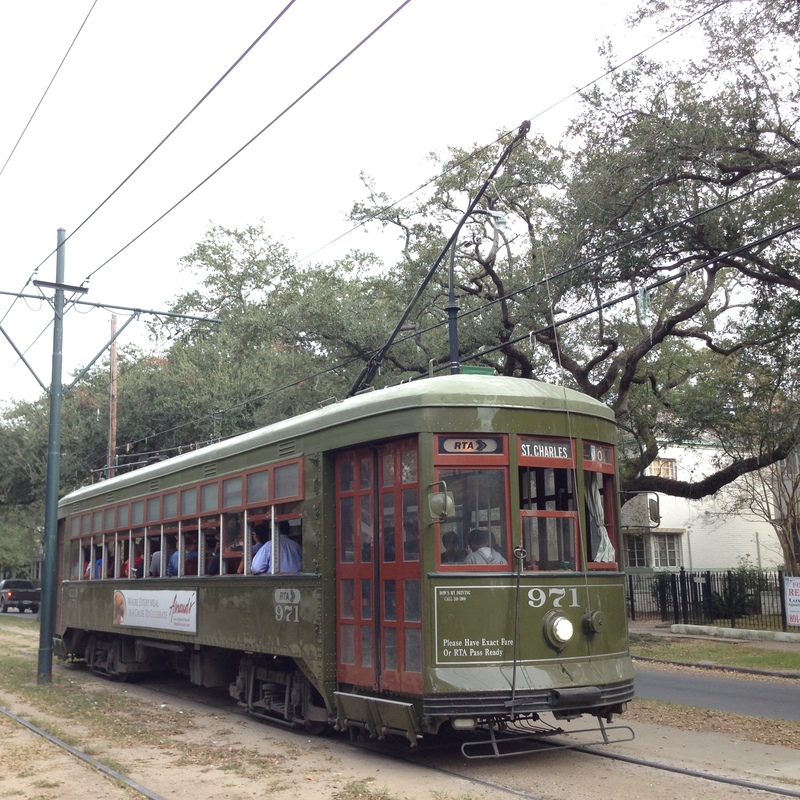 If you don’t have a car, hop on the Magazine Street bus or the St. Charles Streetcar and get off at Washington Street. You can book a cemetery tour (we enjoyed Save Our Cemeteries’ version) or you can walk through the cemetery yourself. Admission is free but we aware of the hours: Monday – Friday: 8:00 am – 2:30 pm; Saturday 8 a.m. to noon; closed Sunday. 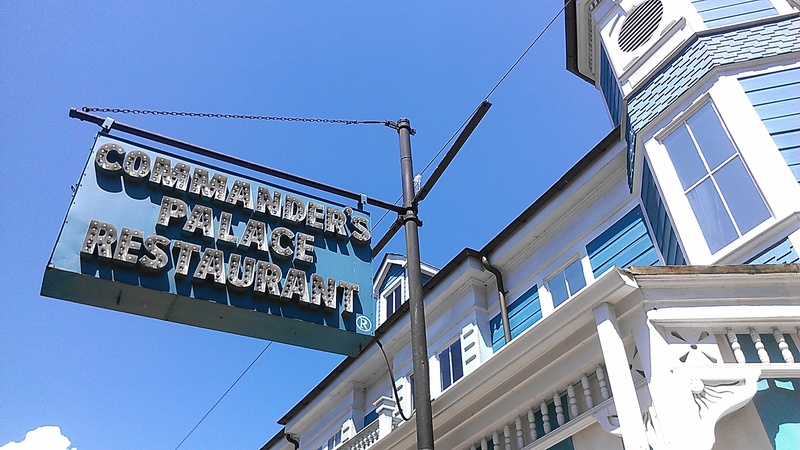 Commander’s Palace. This is my tried-and-true splurge restaurant. Make a reservation and request the garden room. I like to go here for a luxurious lunch when friends come in town. If you order an entree, martinis are 25 cents each. And, this is a dressy restaurant. No flip-flops or T-shirts. Guys need to be in at least khakis. Women often wear sun dresses, cocktail dresses and nice skirts. Tip – the earlier you eat lunch, the better your chances are of getting a reservation in the garden room. And ask for the walking tour pamphlet at the front desk. It’s a free self-guided tour of the Garden District. City Park. This huge park is a magical place. 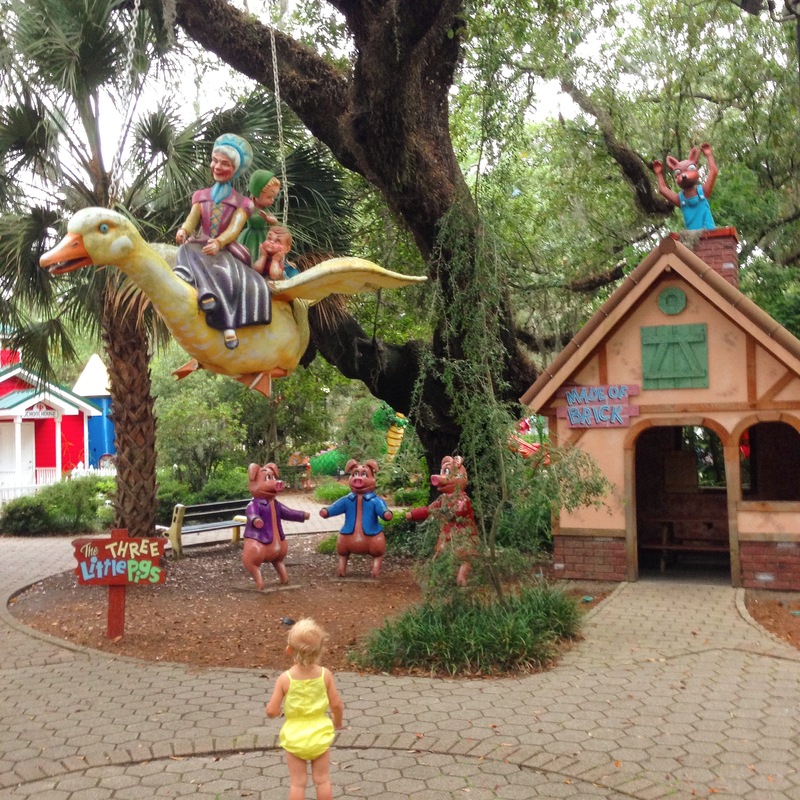 It’s home to the world’s largest stand of mature Live Oak trees, the New Orleans Museum of Art, the New Orleans Botanical Gardens, the sculpture garden, Morning Call (beignets), a miniature golf course and Storyland (for the kids). Plenty of options if you want to stay inside or go outside. You can rent bikes, kayaks, paddleboats and surreys. If you rent a boat, you start in the big lake and can go explore the waterways that take you into the sculpture garden. Museums are good for rainy days and really hot days. My favorites are the New Orleans Museum of Art, the World War II Museum, Audubon Aquarium of the Americans and Ogden Museum of Southern Art. See the full list of museums here. GoNOLA.com: Each week, GoNOLA does a post with its five best best for the weekend. It also does festival previews and themed posts, such as the 5 best spots to hear street music in NOLA. NOLA.com | The Times-Picayune: NOLA.com is the online home to the city’s metro paper. Along with general news, the site has an event calendar and does a ton of event previews. And, it has a “best bets” post every day too, with suggestions for how to fill your weekend. Gambit: Gambit is a free weekly newspaper in New Orleans. I find its event calendar helpful. In the print addition (available all around town for free), it has a “best bets” section up front. NewOrleansMomsBlog.com: This site for moms in New Orleans has events specifically geared toward kids and pregnant women. 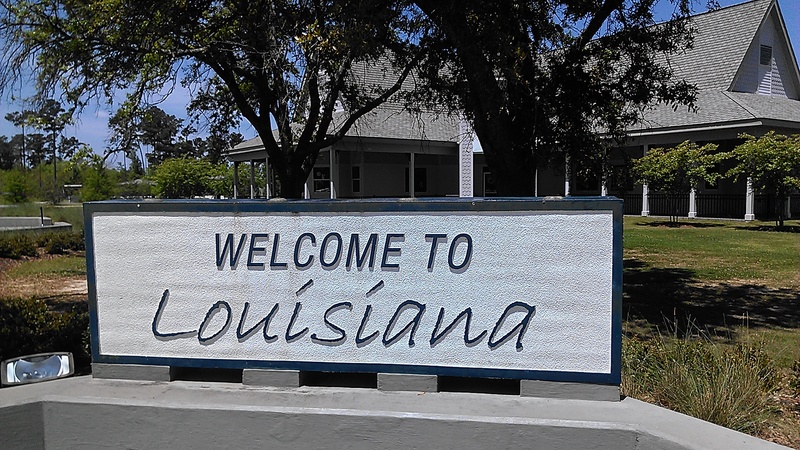 New Orleans has so many things to do, but this should get you started on your exploration. Have something else that you think should be added to the list? Leave me a comment. 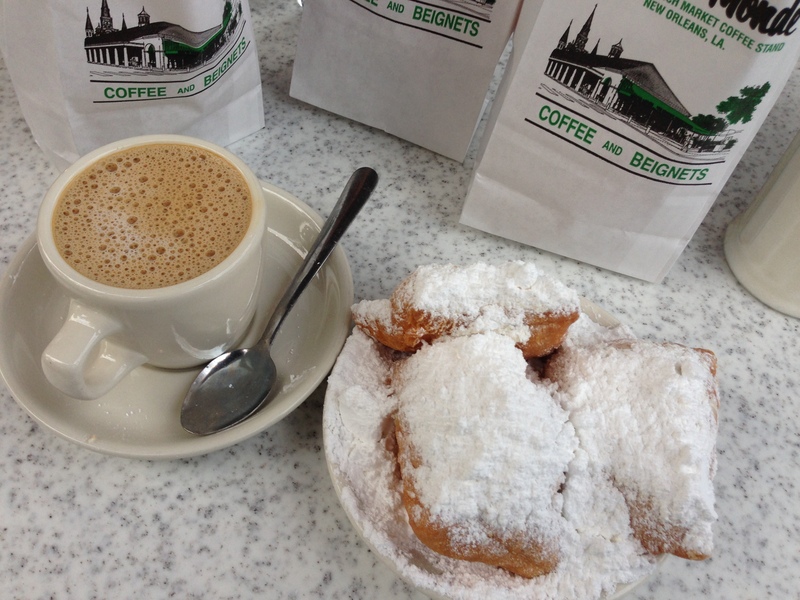 Something else that I really want to try in New Orleans is a beignet! I have always wanted to try one, and I am waiting until I go to New Orleans to do that. That way, I can try the best kind there is while enjoying the scenery that goes with it!